ONE of our favourite stops on the Midland Highway is the Half Way Café at Campbelltown, where you can always be sure of good food and great coffee. So it was great to stop over after almost endless roadworks along the way with plentiful stops, speed restrictions, and frustrated RV drivers, and to catch up with Reg Cooley from Bridgewater, when he was on his way home to Hobart from Devonport with a load of general, and was driving a Cooley's Cartage 2008 FH Volvo at the time. 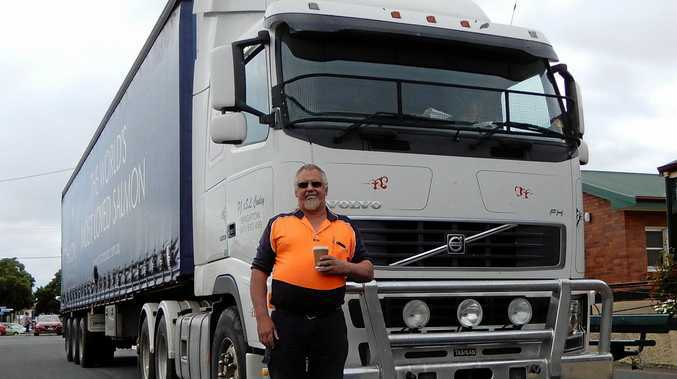 "I've been driving trucks for the family business now for 32 years, and put simply, I love it! I reckon it's a great way to earn a crust, and they are a great outfit to work for overall,” he said. He said he spends his time off camping and doing all the usual outdoor stuff, as well as watching Richmond playing in the AFL.